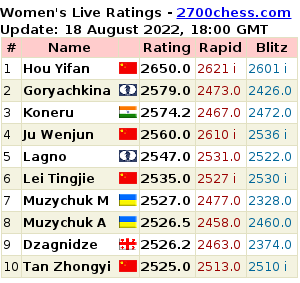 Are FIDE and Ilyumzhinov Neutral? As it has been known on November the 5th Turkish Chess Federation's presidential election will take place.The very interesting fact is that FIDE president Ilyumzhinov's visits to the country started to become more and more frequent. On the 22nd of October, in other words just today, he came once again to Turkey with the ingenious idea to organise a tournament among children from Black Sea countries. 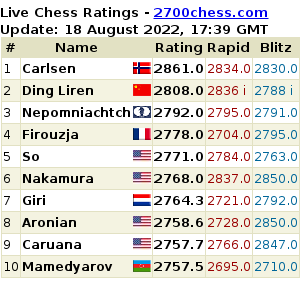 I am afraid this is not FIDE presidents job, neither any other minor scaled chess tournament, nor other really unimportant reasons mentioned in FIDE site are. Obviously the out of schedule visit's reason is to support the current TCF president's replacement in the elections. Ali Nihat Yazici who will not be a candidate in the coming elections, openly stated in his site that he is about to handover his reign to a lady from his executive board. If the country and her elective rules are democratic he can only support her. However conceivably FIDE and İlyumzhinov, the FIDE president, should really stay clear from TCF elections, in other words from TCF's internal affairs. Is this happening first time? Alas no! As we all know Ali Nihat Yazici was supported even financially in the last ECU presidential elections by a FIDE company. It turned out to be the case FIDE Commerce has invested 68.000$ to his presidential campaign. It has also been revealed in 2010's TCF Financial Congress that TCF paid an exuberant amount to FIDE Commerce's CEO Geoffrey Borg's visits to European countries just before ECU elections. Besides in the last days good news are coming from Ankara that the government will support not Yazici's replacement but the other candidate. Speaking of Ilyumzhinov's ill-timed visit, the gentleman in the picture is not Turkish Sport's Ministery neither the General Director of Sport's, possibly the chess(!) advisor of Ilyumzhinov some certain Murat Dzhummanov. A joint declaration by three West African federations has been published on kasparov2014.com. The Presidents of the National Chess Federations of Cote d’Ivoire, Ghana, and Nigeria "as members of a new generation of African leaders and managers" state their attitude towards the upcoming elections and particularly current FIDE leadership tactics in regard to them. Kirsan Ilyumzhinov: "If Kasparov Asks, I Am Ready To Cover His Lawyer's Costs"
Kirsan Ilyumzhinov commented on the ban FIDE issued for Garry Kasparov and Ignatius Leong. Let us remind you, FIDE Ethics Committee found Garry Kasparov and Ignatius Leong guilty of breaching the FIDE Code of Ethics for their conduct during the FIDE presidential elections. Garry Kasparov, "Ilyumzhinov Causes Harm to Chess"
In the interview to Frankfurter Allgemeine Zeitung Garry Kasparov announced for the first time that he will probably put himself forward for the position of the FIDE President at the nearest elections in August 2014. Arkady Dvorkovich: "Only Ilyumzhinov Appealed to Supervisory Board of RCF For Support"
Garry Kasparov confirmed his firm will to replace FIDE President Kirsan Ilyumzhinov on his "throne" in today's Frankfurter Allgemeine Zeitung.